I have lived in South Yorkshire all my life and Mexborough for the last 28 years. My working life has been spent in steel fabrication and civil engineering, mainly for the old National Coal Board, building coal mining machinery, but many other projects including Yorkshire Water, Glass recycling projects, and other projects from security fencing to aircraft hangars. Since the closure of our Coal Mining Industry I have run a local social club and brewery. I have never been a member of a political party except Mexborough First but issues in the town over the last few years convinced me that national parties have no idea or concept of the needs of our great town. Mexborough deserves better than the current Doncaster MBC status quo. To that end I offered myself, with support from grassroots volunteers who felt equally disenfranchised by the system, as a candidate in the 2012 local elections. I was beaten into 2nd place but subsequent events reinforced my belief the town was being sold short. Two years later I stood again, this time as a Mexborough First candidate, and thanks to the people of this town I was elected. The victory was not popular with DMBC, it throws a spanner in their works of ignoring the bad news, I think the people of this town should know everything that Doncaster wishes to impose, wither it be the closure of old people’s homes, or disabled day care centres, a ridiculous plan for the market, or the impending charge in the multi storey car park, or any other damaging plan they have for us….I have been privileged to have been given the opportunity to speak up for the town, and promise if anyone tries to damage out town or hide the truth, I will, and Mexborough First will expose it. I have worked on Mexborough market for nearly ten years, during which time I have spoken with many people regarding local issues. There is a general consensus that under the Labour council, Mexborough is being put into second place behind Doncaster, it has in fact become the forgotten town. During the last year I have raised a few of these issues with Councillor Andy Pickering and he has really put himself out to help where possible, a trait I admire. I joined Mexborough First and was honoured to be considered as a candidate in the selection process. I have been chosen as a candidate to represent you, the people of Mexborough. I already feel like a part of the community but this just seals it for me. I am not happy about the imminent Tesco store closure in Mexborough and the poorly managed Mexborough market and town centre regeneration plan by DMBC and initial ‘consultation’. I will support Mexborough’s traders, businesses, and residents with a more powerful voice should I be elected as a Councillor in May 2015. I would appreciate the chance to put you and your issues to the top of the Council’s agenda. I was born in Mexborough in 1973 and, having moved around Yorkshire once or twice, returned live in our town in 2002 with my family. I love our town and I am so sad to see the current state we find ourselves in – neglected by Doncaster MBC and other agencies and not enough challenging to get the service Mexborough deserves. 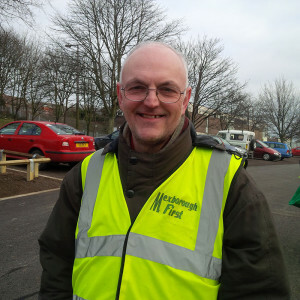 I am currently involved in a number of community projects in Mexborough e.g. Mexborough Foodbank (via social enterprise Food AWARE CIC which I run), Mexborough Common TARA and Mexborough Action Together (MAT) team (Canal Clean Up, Litter-picking etc). 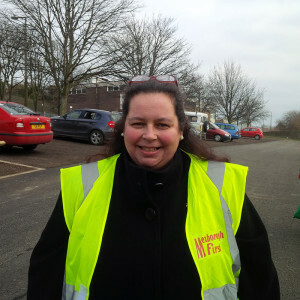 I have previously been involved in Neighbourhood Watch and was Parent/Community Governor at two Mexborough schools. Many people know that I ‘say it how it is’ and constantly badger DMBC for better services for Mexborough. As a Councillor, I would not stop doing this. In fact being elected would give me much greater scope to influence events in the town. I always do my best for our town and try to make a difference. 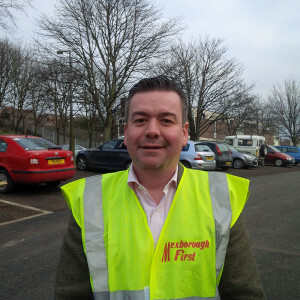 With your support, you can help me and other residents to put Mexborough First.